USAF Evaluated Exercise This Weekend! Members of Squadron 150 will join other members (including Senior Members (Adults) and Cadets) from California Wing squadrons this weekend (22-23 April, 2017) for the bi-annual U.S. Air Force (USAF) Evaluated Exercise. Every other year the USAF evaluates CAWG during a statewide training exercise to ensure that we are proficient in our capabilities as the US Air Force Auxiliary. During the exercise aircrews and ground teams typically are tasked with a variety of missions from locating a missing aircraft, to taking airborne pictures of a simulated disaster area, to locating a practice emergency locator transmitter (ELT) and more. 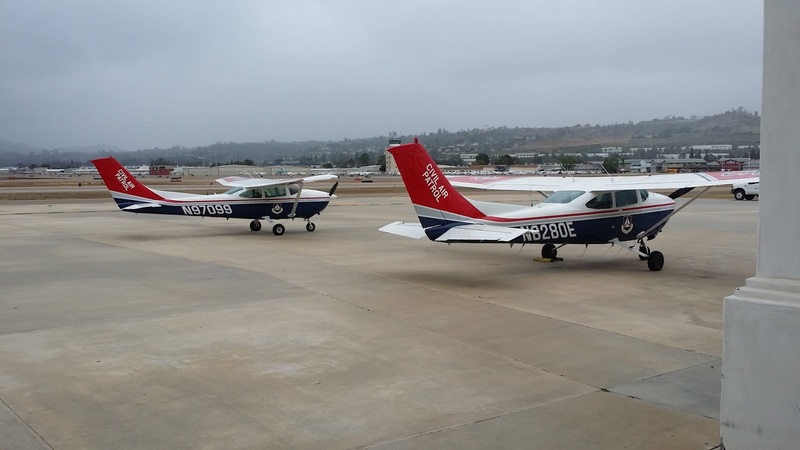 Mission Base for this Exercise is Squadron 5 HQ at Riverside Municipal Airport (KRAL)-and there are several remote bases located throughout California as well. Congratulations 2d Lt. Steven Schock! 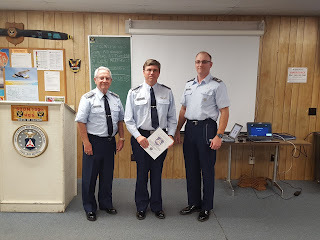 Squadron 150 is pleased to announce the promotion of SM Steven Schock to the grade of second lieutenant in the Civil Air Patrol (CAP). 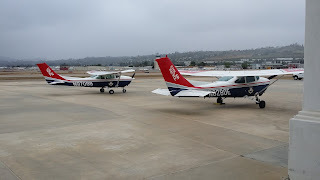 2d Lieutenant Schock became a member of CAP in 2016 out of a desire to enhance his skill set and experience as a pilot (he currently holds an FAA Private Pilot Certificate and has over 300 hours pilot-in-command (PIC), and to use his skills as a pilot to serve the community and nation. Schock serves as the squadron's Safety Officer and as an Assistant Aerospace Education Officer. He is a qualified Mission Scanner and is currently working towards qualifying as a Mission Observer and as a CAP pilot. We congratulate 2d Lieutenant Schock on his promotion and thank him for his service to Civil Air Patrol and Squadron 150. Join us Thursday Night for our Next Squadron Meeting! Squadron 150 resumes our normal meeting schedule this Thursday 6 April, 2017 and we invite you to join us if you're interested in seeing what Civil Air Patrol is all about! This week's meeting is our monthly Safety Briefing and our Safety Officer 2d Lt. Steve Schock will be guiding us through an analysis of the crash of the Piper Saratoga piloted by John F. Kennedy Jr. and culling what we can learn from the crash. 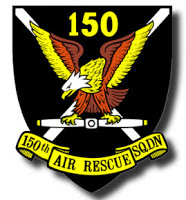 Squadron 150 members we look forward to seeing you there on Thursday! Guests, we invite you to our squadron-we think you'll like what you experience! For more information about where we meet at Los Alamitos Joint Forces Training base, please click here for more information.